Artificial intelligence (AI) is rapidly becoming a central part of our daily lives. Personal assistants like Google Assistant and Siri rely on AI to process speech input. Recommendation engines that suggest songs, restaurants, or news stories are also powered by AI. Then there are headline-grabbing projects such as AlphaGo, which used an artificial neural network to defeat human players in one of the most complex strategy games ever created. There’s little doubt we’re entering a future powered by AI. Some organizations are even using it to scan for diseases and search for exoplanets. But the cost of running these applications is difficult to ignore. Many startups spend as much as 20-30% of their funding on hardware operational costs alone. DeepBrain Chain hopes to address the problem of rising processing costs by combining blockchain technology with artificial intelligence. Early estimates suggest enterprises can save as much as 70% by purchasing data and processing power through DeepBrain instead of building their own infrastructure. Recently, the DeepBrain Chain team announced their first successful runs of AI models on the testnet, signaling the project’s initial steps to public availability. 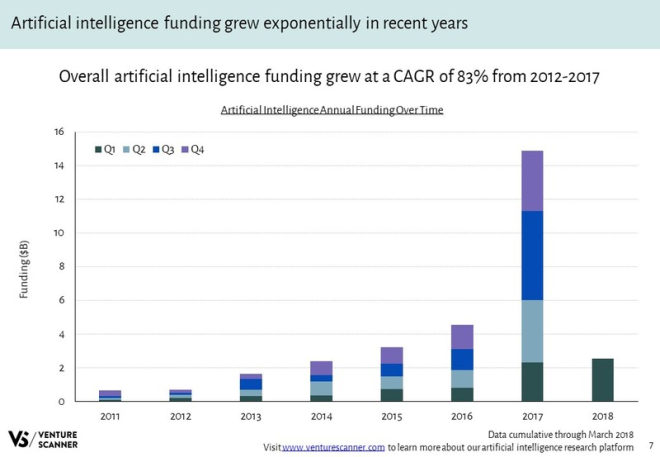 More than 5,000 AI startups have launched in the last 5 years. Venture Scanner reports funding for these projects has a compound annual growth rate of 83%, reaching over $14 billion in 2017. Q1 2018 had a record $2.5 billion in industry-wide funding, an increase of 11% over Q1 2017. AlphaGo is one of the most famous applications of deep learning and artificial intelligence. Its developer, DeepMind, was purchased by Google in 2014. Despite the venture’s well-publicized successes, DeepMind continues to post financial losses every year, running up a debt of over $162 million in 2016 alone. Operating costs and legal fees play a large role in DeepMind’s financial state, but running AlphaGo isn’t exactly cheap, either. The version of AlphaGo that played South Korean professional Go player Lee Sedol ran on 1,920 standard processors and 280 modified GPUs, contributing to an operating cost of $3,000 for a single game. Getting any AI model to perform with appreciable accuracy requires thousands of hours of training. It’s easy to see how AI enterprises can rack up high hardware bills in an attempt to launch a single artificial intelligence product. Other companies working with machine learning and artificial intelligence face similar problems as DeepMind. Most of them can’t rely on the bottomless pockets of a parent company the size of Google to keep them funded. Cutting costs is crucial to continued operation, and the 30% that goes toward hardware is a great place to start. Blockchain technology is the perfect solution to curb the rising costs of running AI applications. It’s a fast-growing, scalable, and profitable sector that has begun breaking into the mainstream, thanks to the popularity of cryptocurrencies. DeepBrain Chain will operate as a decentralized marketplace for data and processing power. It currently runs on the NEO blockchain but will split to its own sidechain once the mainnet releases. Enterprises can then purchase the amounts of processing power required to run their applications without having to invest in a dedicated infrastructure of their own. DeepBrain will meet the needs of these organizations by providing a flexible, high-performance, low latency network that preserves privacy through decentralization and encryption. Early estimates project a cost savings of at least 70% for most clients. On June 3, 2018, DeepBrain Chain’s development team successfully ran three types of real-world AI training models on the private testnet. Results of these test weren’t announced, but the purpose wasn’t to test the AI, only the testnet’s ability to run the programs in a working environment. The first successful test was the Modified National Institute of Standards and Technology (MNIST) database, a sort of “Hello World” for machine learning. The DeepBrain team successfully ran MNIST on the testnet with a limited subset of 250 images. The full MNIST test contains 60,000 images of handwritten digits sampled from high school students and U.S. Census Bureau staff members. The AI must use image recognition on each scan to interpret the markings and correctly identify as many numbers as possible. The second AI test was a natural language processing model run using Convolutional Neural Networks (CNN). CNNs analyze images as groups of pixels at a time, allowing it to detect shapes and edges by comparing differences in matrix data. When tasked to language processing, CNNs are able to “see” words in a document and decipher simple meanings from context. Finally, the DeepBrain team successfully ran a Chinese text categorization model using a pre-trained version of doc2vector. This program is an extension of word2vec that constructs word embeddings from scanned documents of text. The model is commonly used to reconstruct linguistic context from document inputs, essentially allowing neural networks to understand written language. In January 2018, DeepBrain announced a partnership with a Disney licensee on a series of Mickey Mouse toys that listen and respond to speech input. The educational robot shipped more than 3 million units in 2017. DeepBrain will assist in upgrading its learning capabilities for its next product run. The most notable upcoming event is the launch of DeepBrain Chain’s testnet scheduled for the end of June. With the success of the initial tests, the team feels the product is ready to accept public applications. 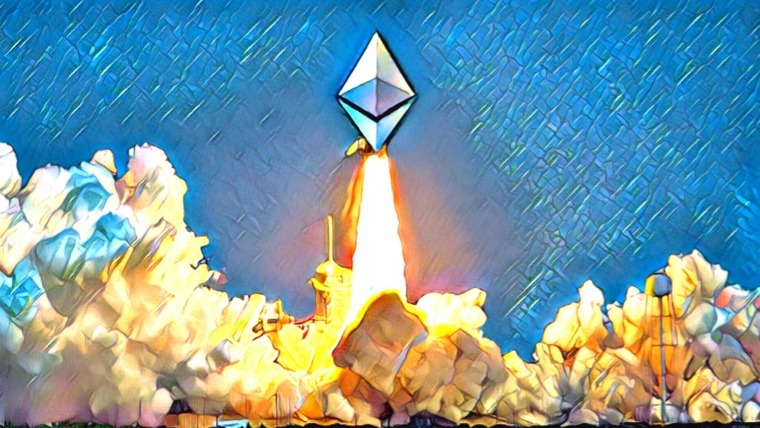 The mainnet release will follow months later with a scheduled October 2018 launch. 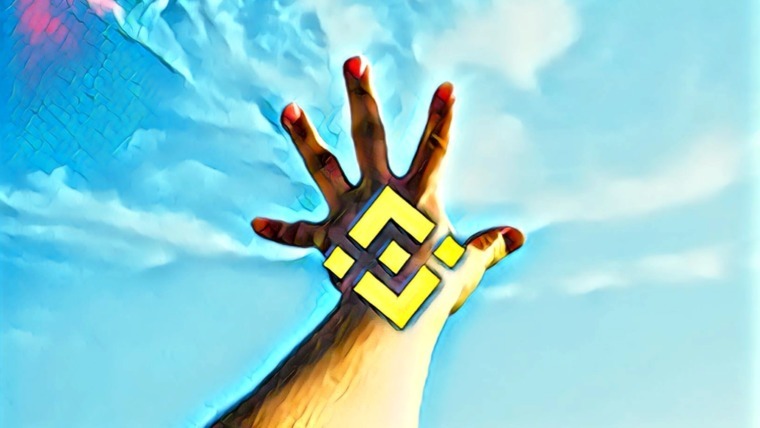 The Skynet Project was opened in mid-June 2018 to help strengthen the network in preparation for going public. Users that meet the hardware requirements can apply to join Skynet and earn mainnet mining priority rights, extra consensus node points, and free use of DeepBrain resources while Skynet Project is operational. DeepBrain Chain has forged a partnership with SingularityNET, an open, decentralized AI stack solution that aims to democratize access to artificial intelligence. The alliance will allow the sharing of data and processing services between both platforms through a framework the teams are currently building. 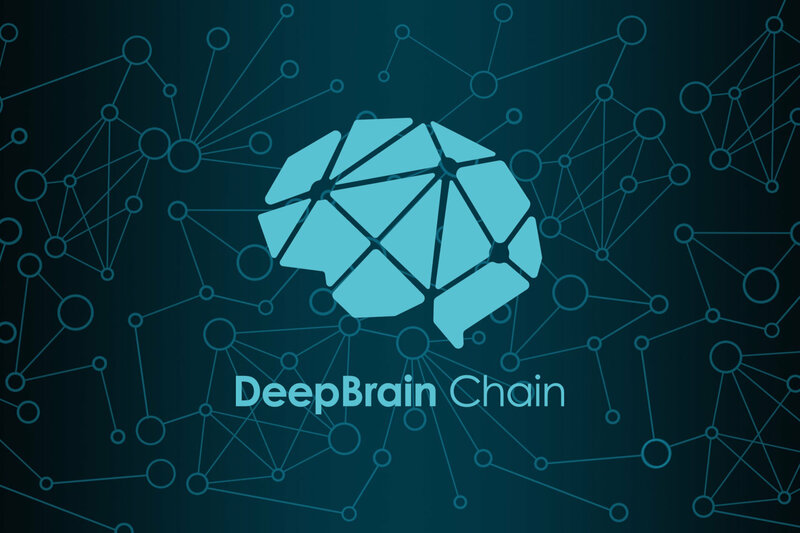 DeepBrain Chain’s roadmap carries the platform through the mainnet launch in October 2018 and includes testing and refinement throughout 2019. 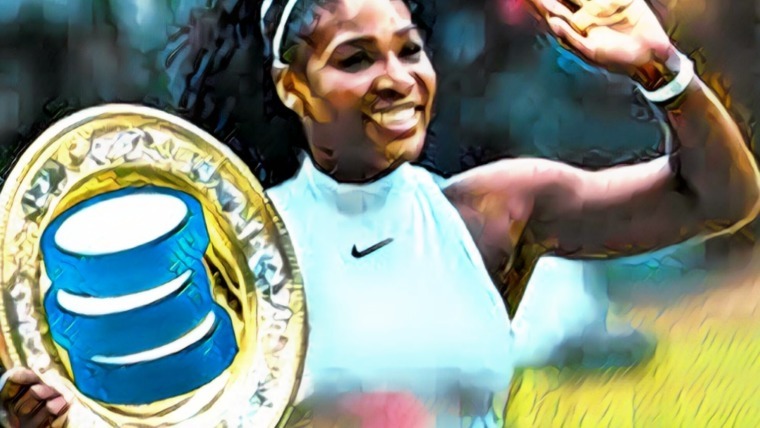 DeepBrain Chain is the world’s first blockchain-based AI computing platform, and it arrived just in time to capitalize on a booming industry. Tech giants Google and Baidu have spent between $20-30 billion on AI development. The industry itself could be worth over a trillion dollars by 2035. To put that in perspective, OPEC’s net oil export revenue hit its modern-day peak at $917 billion in 2012 and has fallen by nearly half since then. DeepBrain Chain currently focuses much of its efforts on enterprises in China, a country poised to become a world leader in artificial intelligence. DeepBrain CEO He Yong attributes this to how easy it is to collect and utilize data in China compared to other countries. There are some concerns about DeepBrain’s ability and willingness to expand into other territories, most notably Europe and the United States. As the partnership with SingularityNET suggests, DeepBrain Chain doesn’t intend to stay a China-focused project forever. So far, the future looks bright for DeepBrain Chain. It landed a spot in our features on exciting NEO projects and promising AI blockchain projects earlier this year. 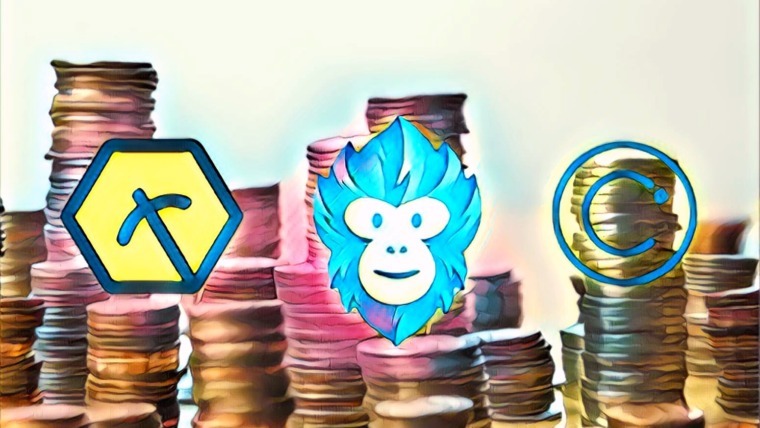 If the testnet and mainnet launches go smoothly, DeepBrain Chain could be the first project that companies turn to when sourcing AI partnerships. Excellent article. Thank you for the detailed explanation and exhaustive review.